Want to bypass iCloud on your iPhone? You will be glad to know there are a lot of iCloud unlock tools available that allow you to download free. But which one should you use? Just read this post before trying any of them. 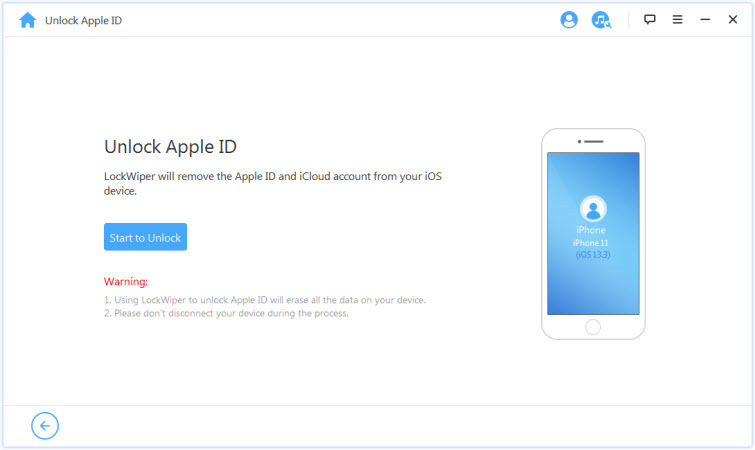 If you want to remove iCloud account from your iPhone without password, then you can rely on third-party Apple ID removal tool called iMyFone LockWiper. LockWiper specializes in removing/bypassing iCloud account from activated iPhone/iPad. It is also a powerful lock screen removal tool which can prove to be useful if you need to bypass/remove screen lock of your iPhone. Powerful iCloud account removal tool. You can use it to remove iCloud account from activated iDevice without any password. You can use a new iCloud account in the device without any issues after iCloud account removal. Gain all iCloud services and Apple ID features after removal: shop on iTunes store, download or update apps, update iOS version, etc. Keep in mind that this tool can only remove iCloud account from an activated iPhone/iPad. An unactivated iPhone/iPad can not be unlocked. Step 1. On your computer, launch iMyFone LockWiper. Use a compatible lightning cable to connect your iPhone to your PC. Step 2. On LockWiper, click on Unlock Apple ID mode. It will be displayed on the home screen of the software. Step 3. Now click on Start to Unlock button on the next screen. iMyFone LockWiper will start the unlocking process. Following are the three iCloud unlock tools. Please note that these tools haven't been tested by us so they may or may not work. It is recommended that you read reviews of the tool before download it. 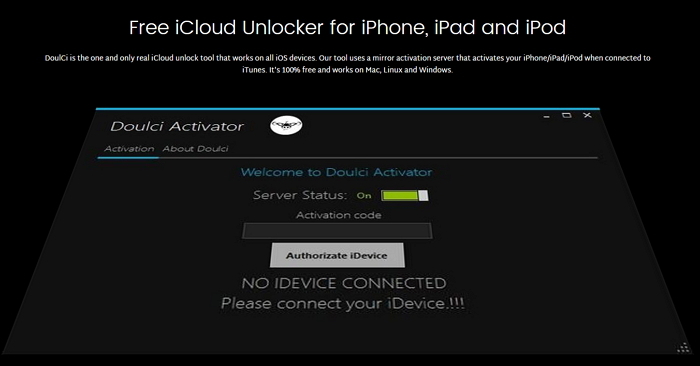 Doulci iCloud Unlocking Tool is one of the iCloud unlocking software available on the market. The tool is easy to use and works on all iOS devices including iPod Touch. Doulci uses its own iCloud bypass server which makes it highly efficient and successful when it comes to removing iCloud account from an iDevice. The website of this tool has amazing support and it also contains tutorials which you can take advantage of in order to learn how to effectively use this tool. Although Doulci iCloud unlocking tool is free, you have to complete a survey in order to download it which some users may find annoying. This is another easy to use iCloud unlocking tool that is widely available and you can use it to bypass or unlock iCloud from your iDevice. The software is quite fast and efficient and also comes with a tutorial to help new users figure out how to use it effectively. You can use Open my iCloud to bypass or unlock your iCloud within just 10 minutes. The software supports all iDevices and iOS versions, including the latest ones. Open my iCloud uses your iPhone's IMEI code to bypass iCloud. You can download this tool on Windows for free. iPhoneIMEI.net is not exactly a tool. It is a service which you can take advantage of by visiting their website. It is a popular service that you can use to conveniently remove iCloud from your iPhone. The service is quite efficient and fast and supports all models of iPhones, even the latest ones. 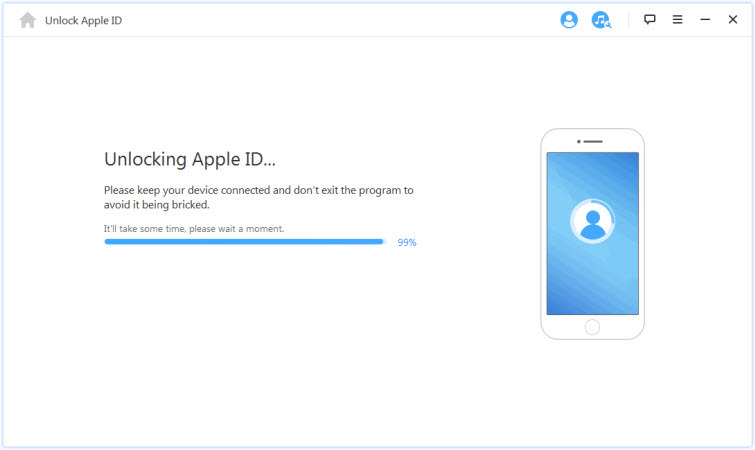 The process of removing iCloud from an iPhone is quite straightforward with iPhoneIMEI.net. You simply need to visit the website, click on iCloud Unlock, specify your iPhone model and provide the IMEI, and you are done. Keep in mind that iPhoneIMEI.net is not a free service and it will cost you to bypass iCloud. The cost varies depending on the device model. Removing iCloud from iPhone is possible and there are a number of tools available that can help you do this. Some of the tools you can use for this purpose. 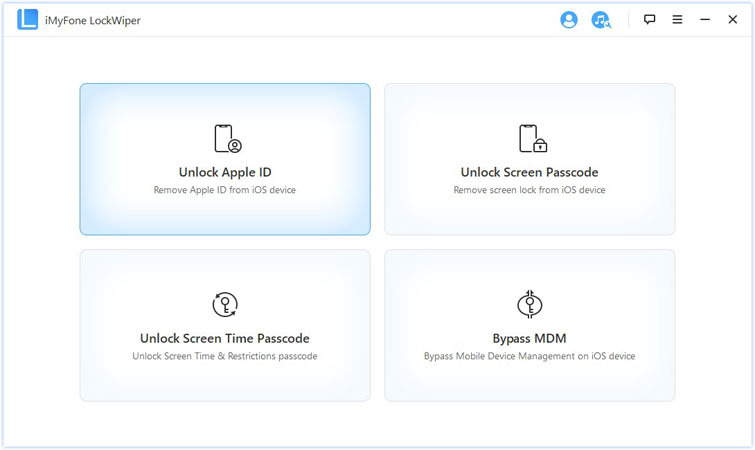 If you want to remove Apple ID from an activated iPhone, then it is recommended that you use iMyFone LockWiper as it is user-friendly, fast, and highly efficient when it comes to removing iCloud account from an iDevice.